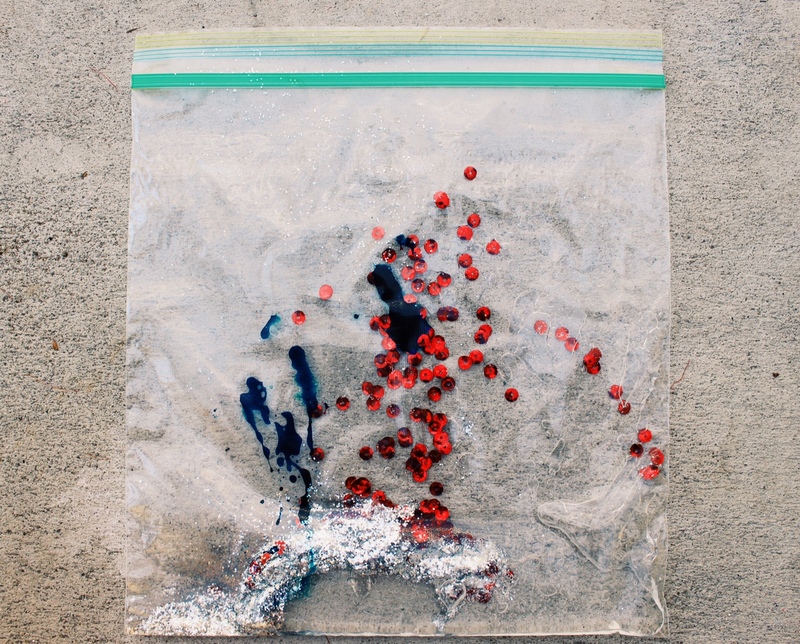 I was first introduced to the sensory suncatcher project idea in my daughter’s toddler class. In the class the project was done with smaller sandwich bags which was good for her age group but I wanted to duplicate the project for my older daughter so we used larger gallon sized bags. 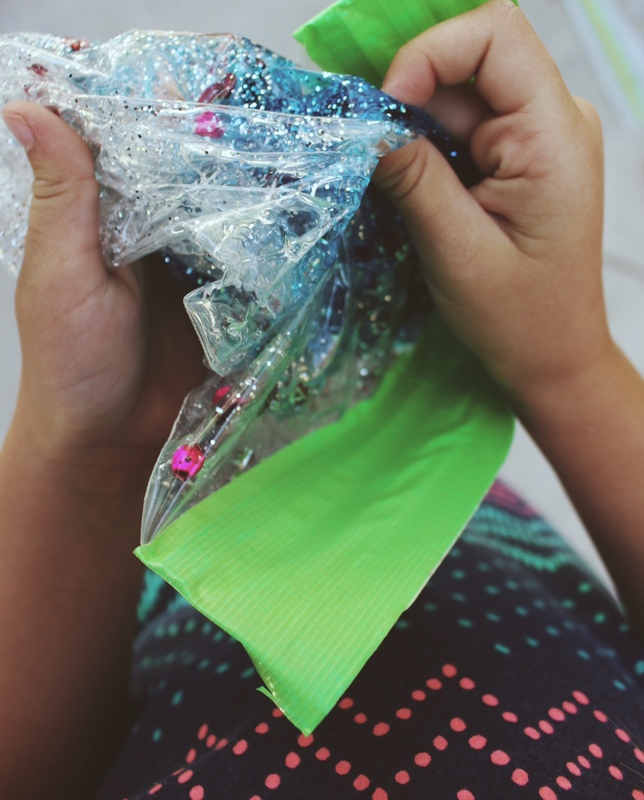 Sensory projects are always a big hit in our house because my kids love to get messy and enjoy squishing and mixing up gooey substances like this! While my older daughter and I were setting up this project, we started talking about the night sky and galaxies. 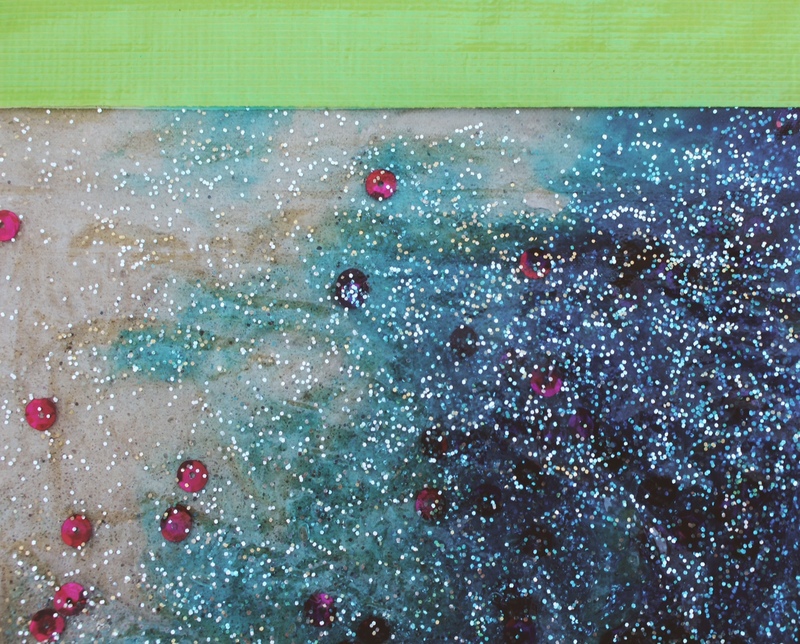 This project lends itself to all kinds of discussions because the mixture looks almost magical. 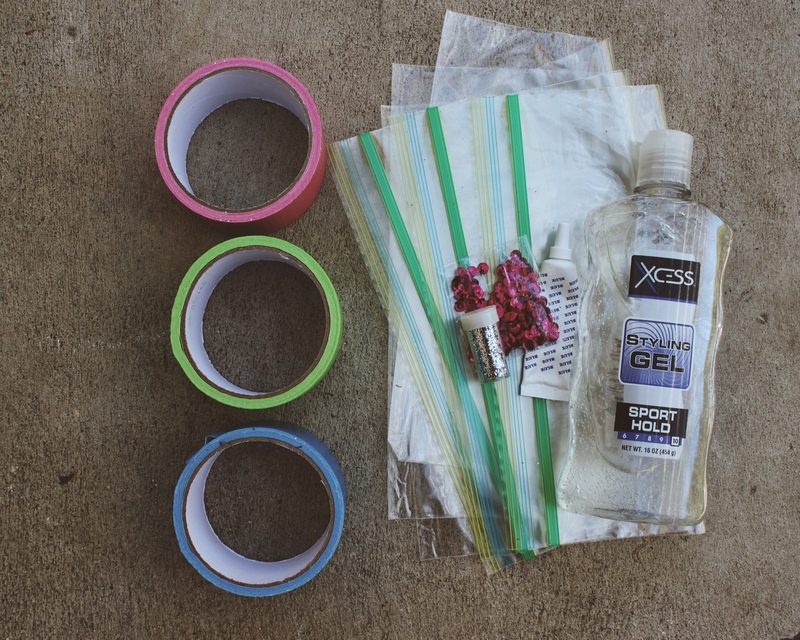 You can add in lots of different odds and ends like beads, pom poms, feathers and stickers to personalize the project. Older kids love that side of it. There are also lots of cool types of duct tape at the local craft stores and big box stores these days so they can get really creative with this project and put it in their bedroom window. I am not sure of the longevity of the base which is hair gel but I plan to just check the suncatcher every once in awhile and see if it looks like it needs to be thrown out. 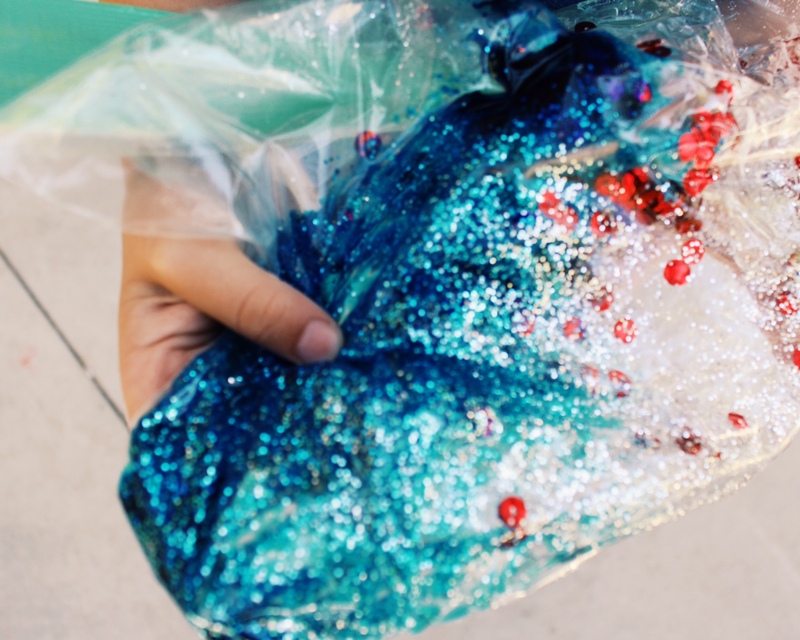 My daughter and I added about half a bottle of clear hair gel to an empty bag, about 10 drops of food coloring, glitter, and sequins. Before sealing, we got out all excess air, this is the important step. Next, we sealed it off with two pieces of duct tape (one on each side). Next comes the fun sensory part. With the bag completely and securely sealed I let my daughter mix and mash up all the bags contents. 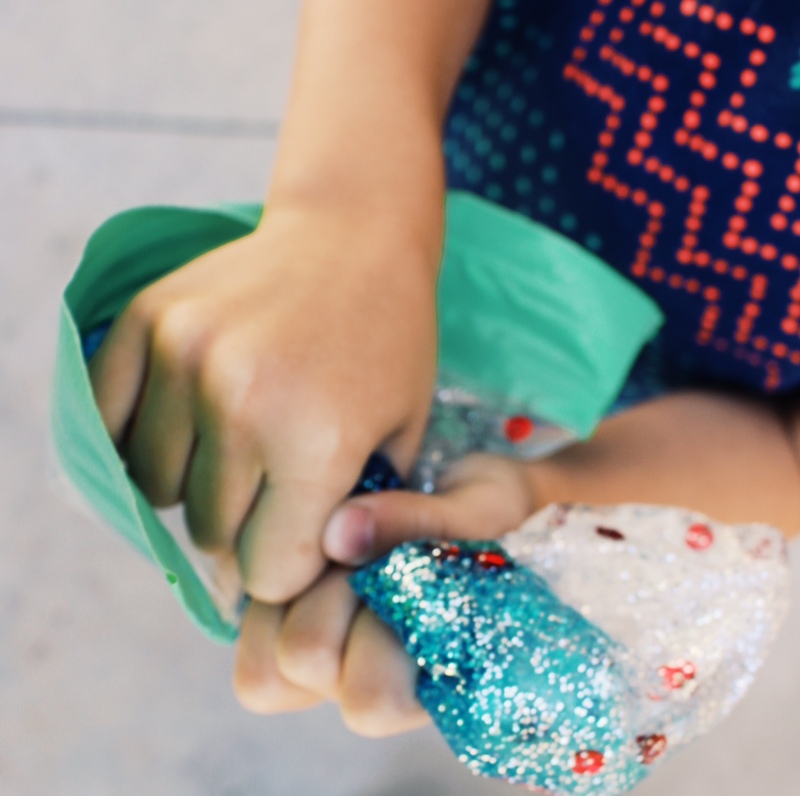 So much fun and the gel even makes the bag kind of cool which was an added interesting sensory benefit for kids. After everything is mixed you can take your child to a sun filled window and check out all the beautiful light filtering through the bag. 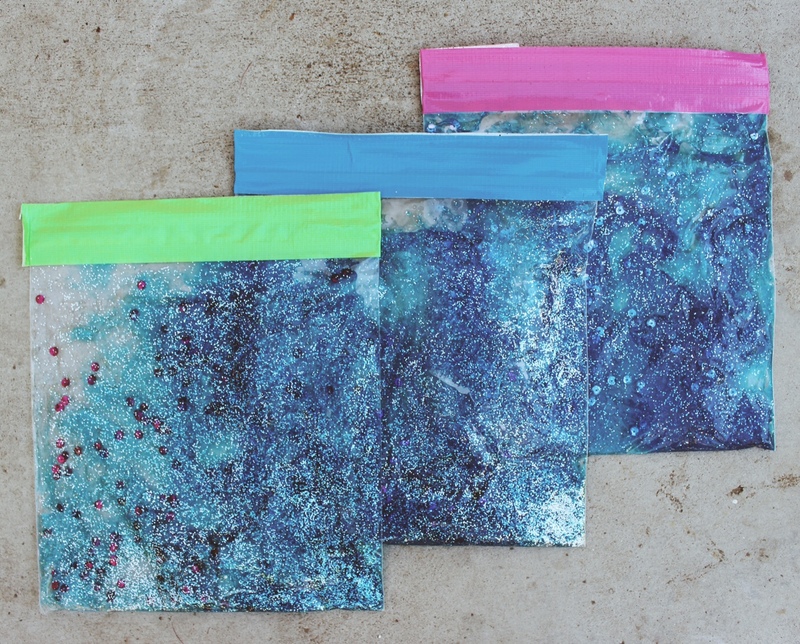 This was a hit with both my 3 year old and 6 year old and today they are still enjoying squishing these bags all around and watching the light come through them.